Which girl would Du want Yuuichi to be with? 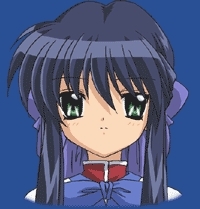 Have Du ever got angry while watching Kanon series? Plot Summary: As a young child, Aizawa Yuuichi had often visited his cousin in the city. However, something drastic happened to keep him away for seven long years. Now, Yuuichi returns, his memories of those days are simply gone. Many of the scenes in Kanon are based on real places. This sight has a side Von side view of the Anime picture and the real picture that inspired it. It's a terrific site! The link is to part 2 but there is also a part 1 that has Mehr pictures. a comment was made to the poll: Who makes a better partner for Yuuichi? a comment was made to the poll: Which girl would Du want Yuuichi to be with? a comment was made to the poll: Who is the funniest one in Kanon series? Who does the voice of Kawasumi Mai?